Caff wearing some Boreal shoes when his feet really really matter! 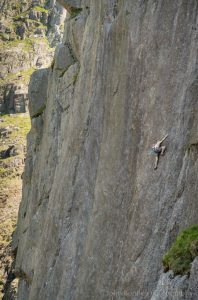 The IWBL is back for those of you who don’t know that stands for “Indy Winter Bouldering League” this in essence is a way to keep up your motivation on the dark winter nights, what you do is get a sheet look at the number on the bottom of the problem and tick them off as you go. The winner is the one who does the most problems. There are many category’s and even some prizes, traditionally it starts on 1/10 and runs to 28th Feb! On Wednesday the 31st (Tomorrow!) we are having another one of Cains open mic nights. I believe Ryan is planning profiterole and we will give a prize to the best fancy dress costume. On Thursday 1st of November (Day after tomorrow!) 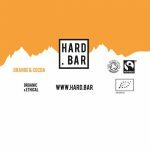 we will be having a boot demo with our friends from Boreal, our friends from Hard Bar will also be coming in so you can sample some of their bars. This should be kicking off about 6 pm, and as usual we will be offering 20% off on all Boreal rock shoes brought or ordered on the day. On Tuesday December 11th Black diamond will be here with their rock boots. Again we will be offering some discounts on the boots brought that day.